The Faculty of Education’s newly launched Office of Leadership in Community and International Initiatives invites all to The App Generation: Nuanced Perspectives presentation with host Dr. Howard Gardner, professor from Harvard’s Graduate School of Education, on Oct. 9. Perhaps best known for his theory of multiple intelligences, Gardner plans to speak on the ways in which digital technologies shape and effect young people’s identity, imagination and intimacy. 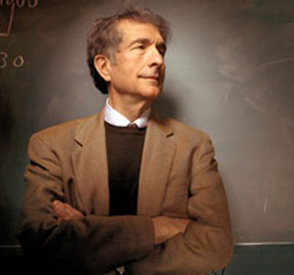 The Faculty of Education’s newly launched Office of Leadership in Community and International Initiatives (LCII) invites all to The App Generation: Nuanced Perspectives presentation with host Dr. Howard Gardner, professor from Harvard’s Graduate School of Education. Perhaps best known for his theory of multiple intelligences, Gardner plans to speak on the ways in which digital technologies shape and effect young people’s identity, imagination and intimacy. Dr. Gardner was awarded a MacArthur Fellowship in 1981, a fellowship from the John S. Guggenheim Memorial Foundation in 2000, an honorary doctorate from McGill, and named by both Foreign Policy and Prospect magazines in their lists of the world’s Top 100 influential intellectuals. Dr. Gardner appears Thursday, Oct. 9 at Le Centre Sheraton (1201 Rene-Levesque O.) from 9 a.m. until noon. Pre-reservation and payment is required, please go here.